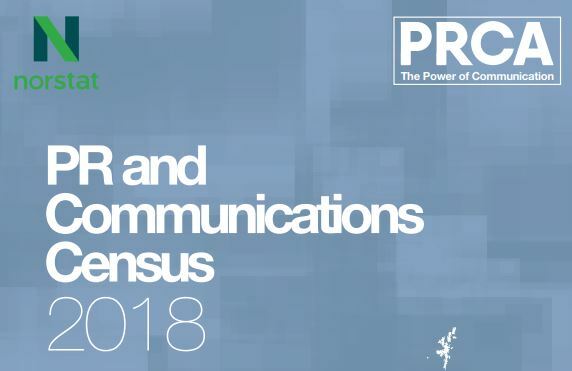 The Public Relations & Communications Association (PRCA) launched the latest PR and Communications Census yesterday and we couldn’t miss the opportunity to attend the launch event in London to learn about its findings. The Census covers an industry that’s in good health – there are now more than 86,000 PR practitioners in the UK – but it also reveals some striking trends. What struck us most was the fact that 12% of respondents still use the discredited advertising value equivalent (AVE) system to measure their activities, and that a frankly incredible 33% of respondents do not use any evaluation methods at all. If we cannot accurately measure what we do, how can we expect people to invest in us? At Red Setter, we’re in line with 24% of our fellow practitioners (according to the census) by basing our evaluation on what’s called the Barcelona Principles 2.0. This means assessing the quantity and quality of the coverage we generate, the number of new business doors opened and incoming enquiries generated, the degree of client and talent retention, the quality of CVs received and the clarity of our clients’ market positioning – after all, our activities need to meet the clients’ strategy and objectives. The other finding that stood out for us was that even though 66% of PR practitioners are women, there is still 21% gender pay gap in the sector. It’s not as surprising as the lack of measurement, but it’s just as disappointing. Francis Ingham, the Director of PRCA, pointed out the work his organisation is doing to provide a good working environment for this diverse community, as well as tackling the gender pay gap and creating a measurement system that proves PR’s worth to a sceptical world. He said there is more representation from the LGBT, minority and disabled communities than ever before. He concluded the event by praising the way the profession is successfully blending traditional PR – which includes media relations and reputation management – with ‘new’ PR centred on digital channels and social media. We agree. There may still be work to do on measurement and the gender pay gap, but this is an incredibly exciting time to be working in PR.